Based on these statements and the way the first public hearing unfolded in Portland on Monday March 30, it’s hard to conclude that the inquiry is anything but a witch-hunt. Are we surprised? Not really… (After all, the Flat Earth Institute endorsed the “inquisition”). Friends of the Earth are disappointed the committee is stacked with politicians with a track record of opposing wind energy. The committee’s composition brings into question the credibility of the whole process. Australia’s international commitment to reduce greenhouse gas emissions and address global warming. The way in which communities around the country are affected by fossil fuels such as coal and unconventional gas (e.g: well-documented public health impacts of mining and combustion). The global energy system’s rapid shift towards renewable energy sources and the opportunity for Australia to secure investment and jobs. 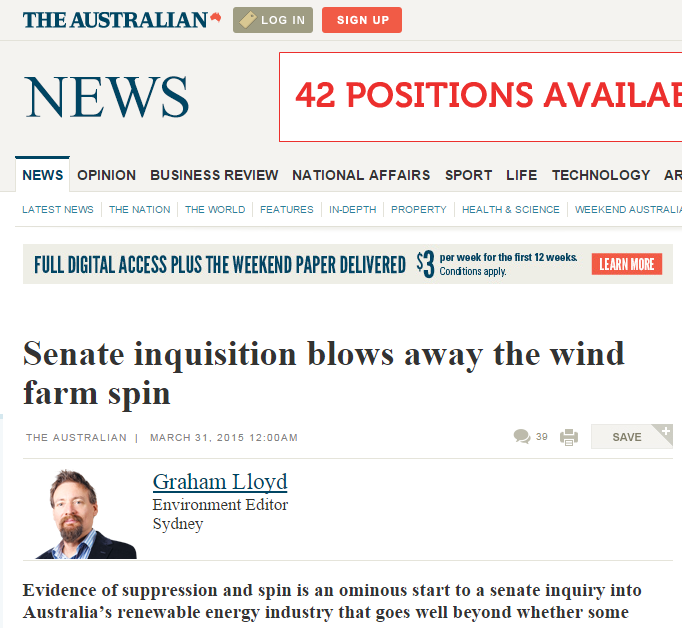 Another Senate investigation into wind energy is a puzzling decision while the aforementioned issues go unattended. 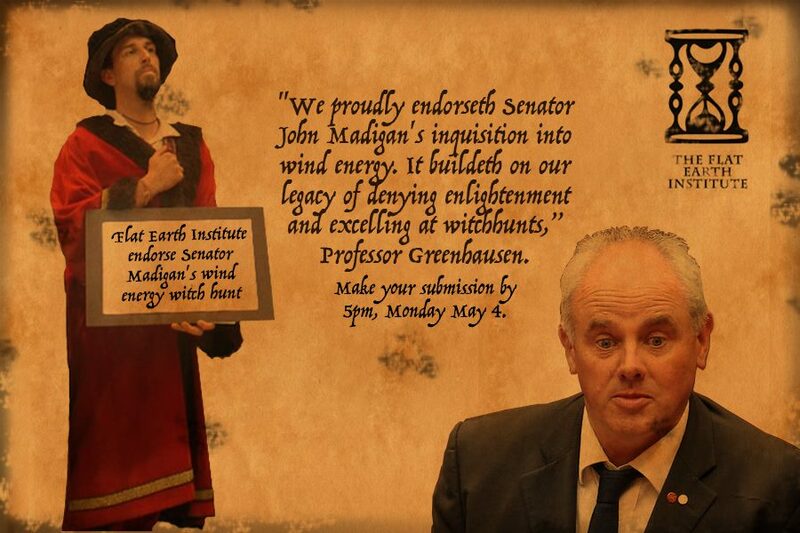 If Senator Madigan wants the inquiry to have any credibility with the Australian public, then the final report must discuss wind energy in context. It will have to compare the technology to fossil fuels, consider jobs and economic benefits, and its contribution to tackling global warming.